If you want a MacBook Air, but you don’t want OS X or can’t tolerate the $1,300 price tag, the Acer Aspire S3 is a good alternative. Ultrabooks, the super-thin laptops developed to specifications laid down by Intel, are now available. 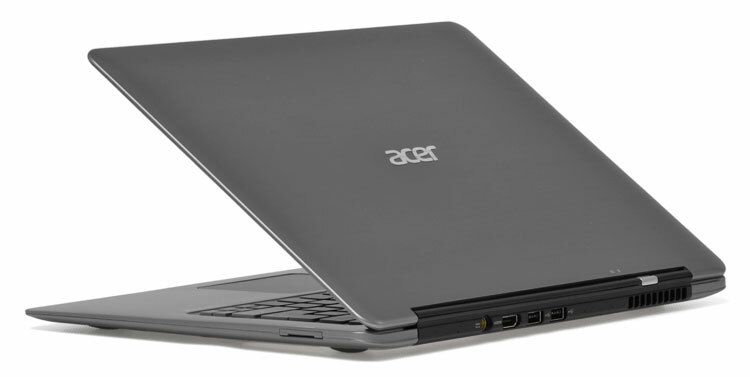 Among the first wave is Acer’s Aspire S3. The company’s Timeline products have been among the best ultraportables for several years, offering an affordable alternative to those who couldn’t swing a MacBook – or an Asus U series. Acer’s focus on value has not been abandoned here, either, as the S3 retails at just $900, undercutting competitors by at least $100. That buys you an Intel Core i5 processor – but it’s an ultra-portable variant clocked at 1.6GHz rather than a standard part locked at 2GHz or above. Don’t let that fool you into thinking this is not a powerful machine, however, because all the other components are impressive. There’s the same Intel HD graphics found in this processor’s more powerful siblings, 4GB of RAM, and both a 320GB standard hard drive and a 20GB solid-state drive (SSD). Not bad. But cramming all this into a small frame is sure to be difficult, and the price tag of $900, even if it is $100 less than the competition, means this is far from a budget computer. Let’s find out what this Ultrabook really offers. First thing’s first. Is the S3 able to compare to a MacBook Air? That’s not to say it’s better, or even as good. But it’s close. This laptop does not have the unibody design of a MacBook, but that doesn’t seem to make any difference in the laptop’s rigidity and luxury. Picking up the S3 is like picking up a thin, solid piece of metal. It’s hard to imagine there’s enough hollow space inside for a hard drive, processor and RAM. If there’s anything that lets the S3 down, it’s the lid. Though solid, the hinge mechanism is too loose to properly support the relatively hefty metal surrounding the display. As a result, normal typing can induce some screen wobble, particularly if the surface you’re using is not perfectly solid. Stranger still, the black material covering the hinge appears to be soft-touch rubber or plastic. Perhaps this supposed to be luxurious, but we would rather Acer used a stiff, exposed metal hinge. 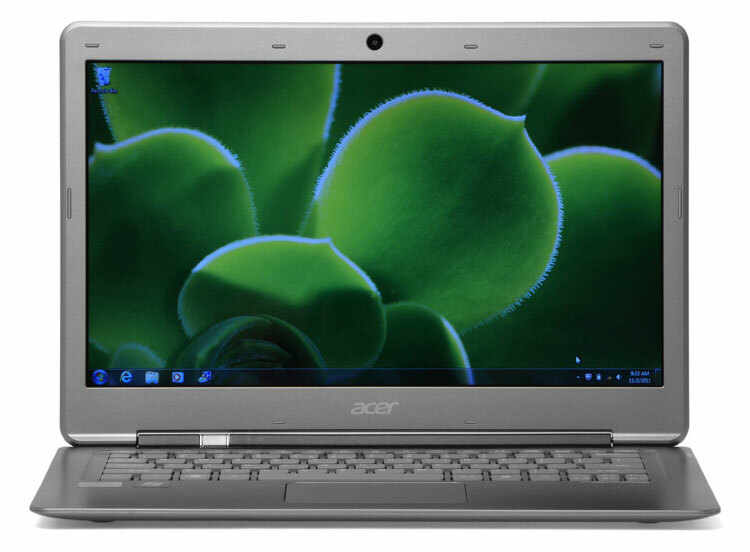 Nitpicks such as these should not be brushed aside, but they reveal how solid the Acer is in general, as there’s nothing else to point to as a flaw or problem. We’re surprised that any Ultrabook is able to come within spitting difference of the Air’s quality. We’re even more surprised that the cheapest Ultrabook on the market is able to do so. Opening the S3 reveals a standard chiclet keyboard. This is actually a bit unusual for Acer, and as far as we can see, this keyboard design is all-new for the S3. Aesthetically, we would prefer if it used black keys rather than dull silver, but the existing design fits the laptop well enough. More importantly, it’s pleasing to use. More key travel would be appreciated, but it would be understandably difficult to engineer into a laptop this thin. As it stands, the key feel is at least as good as your typical 13-inch ultraportable. The layout also works well. All keys are as large as they should be with the exception of the function keys (which is typical on a laptop) and the arrow keys. You won’t need the arrows keys, anyway, because the touchpad is among the best to ever grace a Windows laptop. Companies have been trying to copy Apple’s large glass touchpad for ages, but this time it’s actually done right. The surface is large, the integrated buttons require a light touch to activate, and the multi-touch features are shockingly smooth. 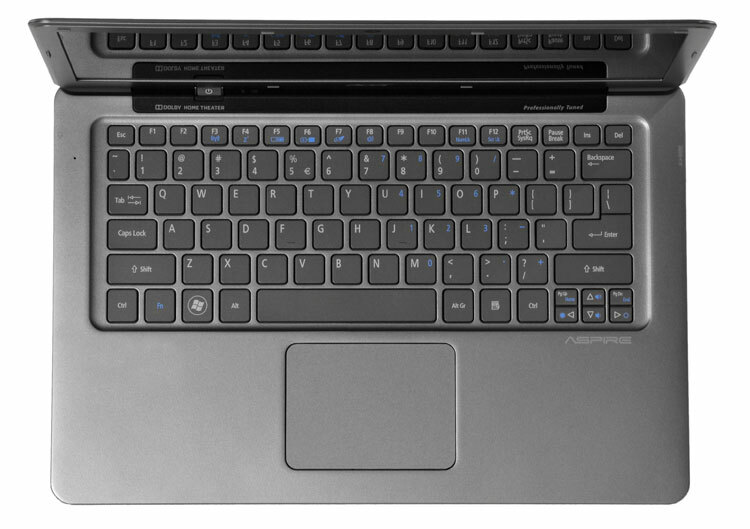 The Aspire S3 offers two USB 2.0 ports and a full-size HDMI port around the back, along with an SD card reader on the right. That’s it. While a MacBook Air is similarly stripped, the Thunderbolt port offers more flexibility than HDMI. More expensive Ultrabooks like the Asus UX31 offer USB 3.0 and mini VGA output, making them more practical in a variety of scenarios. One of the traditional issues with PC ultraportables is display quality. Unfortunately, this is something the S3 does not address. On offer is a glossy display with a resolution of 1366 x 768. Not all glossy displays are built the same, however, and the one in the S3 appears to be among the most reflective of the breed. When typing in a sunlit room, it was easy to see our own hands on the display — and that was only after we tilted the display down so that we didn’t have to stare at our own mug the entire time. After learning to ignore your own reflection, you’ll find stunningly average image quality. Black levels, white saturation, gradient banding — it’s all okay. Not bad. Not good. Just acceptable. Despite the lack of any visible speaker, Acer decided to slap this laptop with a Dolby Home Theater badge, which does nothing to improve the meager audio. You can listen to podcasts and watch YouTube videos in a quiet room, but music is not pleasing, and moderate background noise can obscure whatever you’re listening to.